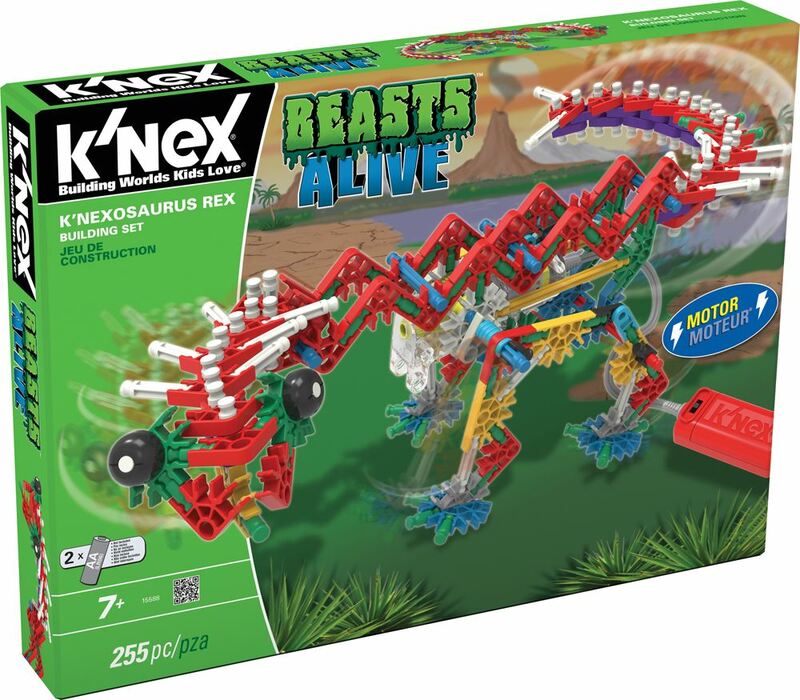 Build the ultimate prehistoric beast, K'Nexosaurus Rex with K'Nex. Motorised for exciting stomping movement, watch his head and tail swing as he moves. Includes: 255 classic K'Nex pieces, a battery-powered motor and easy-to-follow instructions. Requires 2 x AA batteries (not included). Part of the Imagine range. Age 7 + years. Distributed in New Zealand by Holdson.